Unfortunately, due to an ongoing problem securing the proper work visa for James Popenhagen, this show has been cancelled by the promoter. 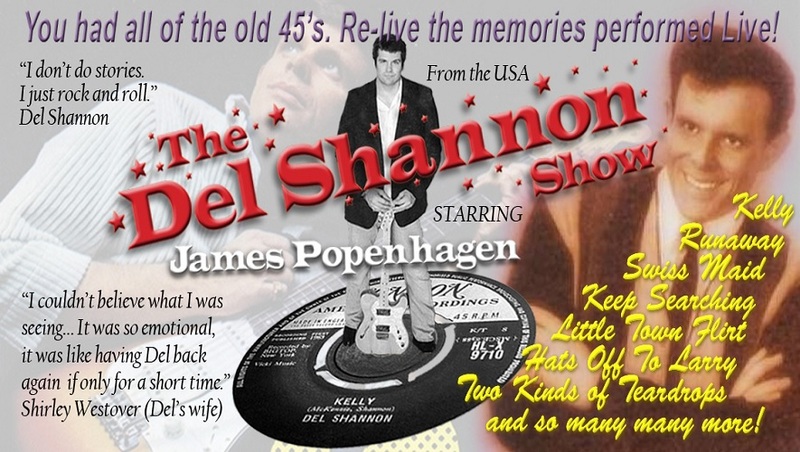 The Del Shannon Show is a unique concert experience with James Popenhagen that is performed with accurate detail and energy by a close friend of the late artist. Hits include “Kelly”, “Runaway”, “Swiss Maid”, “Keep Searching” and many more. I went to all five of James ‘s shows in Birmingham in July, they were all 100% perfect. That is coming from a man that was a personal friend of Del and his wife Shirley.